Englewood Your Vote Matters – Submit your Vote Today! | R.A.G.E. Submit your vote for your favorite Englewood project to receive up to 8K from Whole Cities Foundation!! Whole Cities Foundation and the Resident Association of Greater Englewood has partnered to present the 2nd round of the Healthy Food Access Grant for organizations serving the Greater Englewood community. There are seven hopeful finalists who made it to the community voting round which started on August 18th and will run until – September 19th. 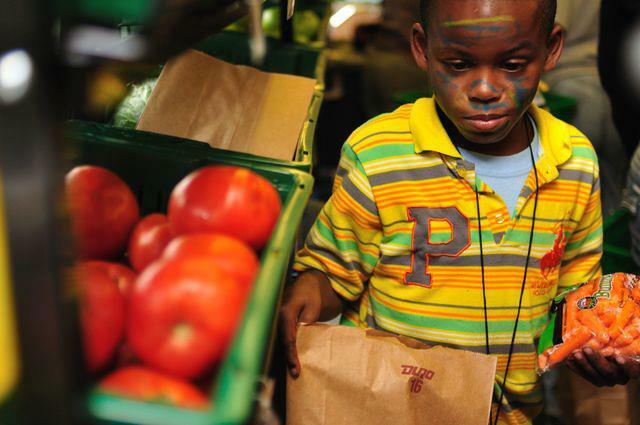 YOUR vote will help determine which fresh, healthy food access projects in the Greater Englewood area receive up to $8,000 in grant funding from Whole Cities Foundation. We are asking that individuals vote only one time online for their top 3 projects. You can vote online here and in person at So Fresh Saturday this Saturday – 8/26 at Hamilton Park Cultural Center – 513 W. 72nd St. anytime from 3pm-6pm. Get FRESH Englewood & Happy Voting! Please note, there is only 1 ballot per person. Online and in person voting will be one of the determining factor on which finalists will be selected to receive the funding for their project. If you have any questions about the community voting, please contact RAGE at joinrage@gmail.com.